Companies eager to meet the digital information needs of customers are faced with the challenge of creating content on a regular basis and with few additional resources. Customers expect useful information that is easy to find, consume and share, but how can resource strapped marketers meet those expectations? On the content marketing maturity journey, the transition from creating very little content makes way for the practice of “more” content, followed by more + meaningful content. Making that transition and scaling meaningful content is impractical without a plan and processes. Determine topics of interest. Topical relevance is essential for meeting customers’ needs, answering questions and motivating return visits, whether topics are directly about your brand or related information that customers can benefit from. Research into customer segments, persona development and keyword research will reveal a goldmine of such topics. Typically, we work with primary topics and supporting or secondary topics. For example, Widgets might be a primary topic but color variations, sizes, applications, end benefits, specifications and other value attributes defined by customer research would represent secondary topics. 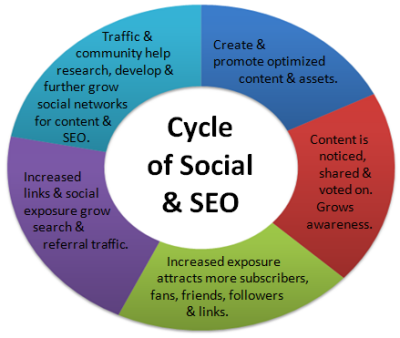 Additionally, mapping customer interests, needs and goals to stages of the buying cycle will help you identify topics or groups of related concepts. Those groupings can be distilled into themes with associated keywords. Create content categories. Your topics of interest will be divided into the categories you choose to provide some continuity and organization to your published content. Typical categories for an owned media editorial calendar include breaking headlines, industry news, ongoing series, feature stories, in-depth product or service reports, polls, special promotions, events, tips, lists and social content. Content categories, themes and the narrative that brings a congruent message across channels can be extended to earned media efforts via public and media relations (contributed articles, bylines, guest blog posts, op eds, media placements) and paid media (native ads, sponsored content, advertorial and other types of non-content ads). Articles, videos, images, long form content, short form and many more formats are possible. I’ve listed 30 different content marketing tactics here to give you some ideas. The important thing is to be relevant: to your customers, your brand, to search engines and social communities with the content types, formats and topics you choose. While it will improve the performance of your content marketing investment to research and anticipate your customer’s journey, the path through the buying cycle is rarely linear. Any content object or media that you create or influence, can be an entry point for a customer at any stage from awareness to purchase to advocacy. By using themes, common stories and the keywords that support their discovery, content can perform its duty to attract, engage and hopefully convert customers wherever it is that they enter. Establish a timeline. A regular publishing schedule according to your resources and expectations of the customers you’re after makes sense. At the same time, business often fluctuates or possesses varied time-lines due to the seasons, sales cycles, and changes in the industry or company. Allow in your content calendar and timeline for wild cards and to account for modifications. Things simply “come up” that you’ll want to define within days or weeks beforehand vs. 3 or six months in advance. Regarding seasonality, ask yourself: Is there a product or service you offer that is particularly popular at a certain time of the year? Is a holiday approaching that might influence your target customer? Consider the overarching theme of your content structure as it pertains to the calendar and cyclicality of your business as well as a consistent and regular publishing schedule. Chart a publishing schedule. Take all of the information from the previous steps and organize it into a plan for creating your content. Whatever your publishing method, whether you want to create videos, blogs, articles or other media, design a schedule that allows you to keep up to a certain regularity and that allows you to cross promote your content between media and publishing channels. For example, a blog post, press release and video on a very similar topic could all cross-link or make reference to an authoritative report or eBook. If you have dedicated copywriting resources, assign topics or “beats” to cover so they can build up some consistency and expertise in those areas of focus. Incorporate other marketing plans. As with any marketing effort, content marketing practices should integrate with other aspects of your efforts. That could include online and offline communication tools and media. It’s not just about marketing either. The content published by Customer Service, Human Resources, Public Relations and other departments may offer opportunities to cross promote. Create informal Content Council to meet at least quarterly to talk about how you can work together to leverage resources and cross-promote. Continue the process. After you’ve designed your content marketing plan and have started creating, optimizing and promoting, it is time to head back to the beginning. Evaluate the content effectiveness to determine the topics that most interest your customers. Expand on categories that are popular, pull back on those with less traffic and fill in the gaps where your content might be incomplete. Create a cycle of creation, publishing, interaction, analysis and refinement. A well-planned, thoughtful and adaptable content plan can be instrumental for online marketing performance, making an editorial calendar essential. You might not consider yourself company a publisher, but that’s exactly what you become when you embark on an organized and optimized content marketing effort. 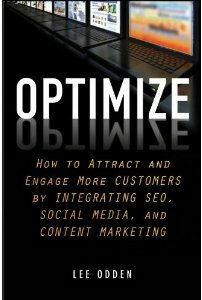 Modified excerpt with permission from Optimize: How to Attract and Engage More Customers by Integrating SEO, Social Media and Content Marketing, published by Wiley. I hope you don’t mind me using an affiliate link for my book – those pennies help keep me caffeinated to write more blog posts! Thank you for writing this excellent post! I have been struggling to find an article that clearly and simply defined the process of an effective content marketing strategy. Again, great job on this post and I look forward to following your future articles. This is excellent Lee. Simple, clear and practical. Thanks so much, I will definitely share this as many clients have difficulties getting their head around content planning. Hi Jennifer 🙂 Glad you found it useful. I hope you are doing well! It’s been a long time. Please say hi to Nicholas. Creating content is easy but making it searchable online is the toughest task. Good tips on optimizing and publishing the content !! Thanks for sharing these. awesome tips huh!